Many regular users of Linkedin that there is one very frustrating things : getting invitations to connect from people you don’t know and without a word of explanation. Nudging users to provide this explanation is yet only a few lines of codes away. Here’s my advice to Linkedin to improve its user experience. 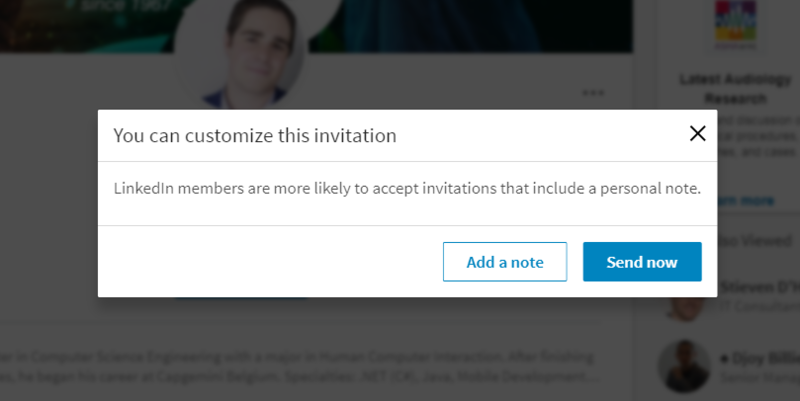 There are several flaws in the current design of the Linkedin invitation interface. Users are indeed nudged to send an invitation without a personal note which is a bad practice. First of all the button “send now” (i.e. without a note) is at the extreme right; it’s the easiest button to click on. Second the “send now” button is much more visible than the “add a note” button. The interface should be designed to nudge users to customize their invitation and explain the other person why they want to connect. 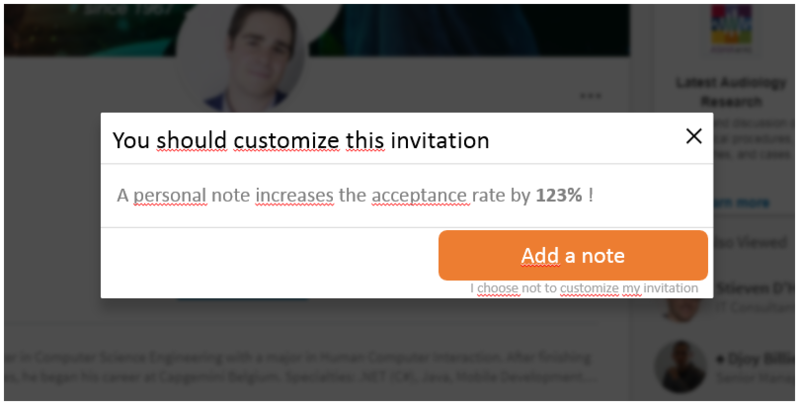 I can even imagine that clicking “I choose not to customize my invitation” would trigger a confirmation message reading “are you sure you don’t want to personalize your invitation” ? And if this is still not sufficient, the next step would be to allow users to control what type of invitations they may received (only customized or both). What do you think ? Do you think it will be sufficient to nudge Linkedin users to adopt better practices ? Don’t hesitate to leave a comment and share your point of view.